TheBlueGuerilla: EXCLUSIVE: Young Independence Front Runners Revealed. EXCLUSIVE: Young Independence Front Runners Revealed. YOUNG INDEPENDENCE (YI) has recently been thrown into an early election after Chairman Jack Duffin stood down. 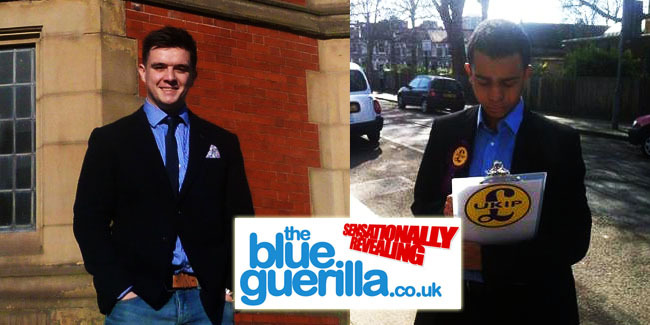 TBG can exclusively reveal two names vying for the top position in the UKIP youth wing. Sources close to senior UKIP aides told TBG earlier today that the race is between Jake Painter and Joe Jenkins, they also leaked their manifesto .pdf links to this website. Jenkins is Scottish and started the YI students movement and ran against Nick Clegg in the recent General Election gaining 6.4% (3,575) of the vote. Painter describes himself as a "classical liberal, conservative leanings, Maggie T fan, English/British patriot and YI chairman for north london". According to a YI insider he apparently "has very little support".